A gap in the market and an opportunity for a facemask brand focused on performance and style was recognized by an instructor in the Copper Mountain Snowsports School in the early twenty-tens. Officially founded in 2011, our company has been manufacturing facemasks in the rocky mountains since day one. 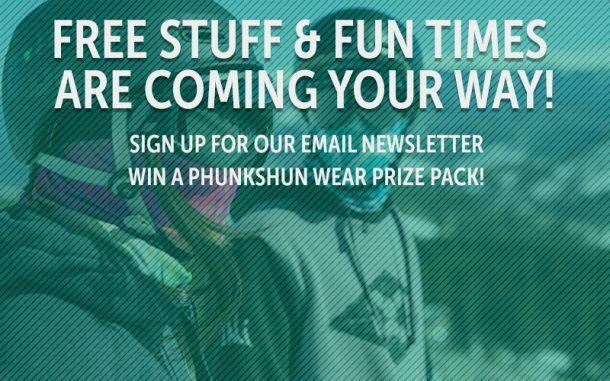 Originally designed with the needs of ski and snowboard instructors in mind, Phunkshun Wear continues to produce items that stand up to winter weather conditions and protect from the elements. All manufacturing takes place in beautiful Denver, Colorado. We cut, sew, and decorate the products ourselves. No outsourcing over the pond for us, we prefer to have as much of the production process take place under our own roof. This is how we ensure that all our products meet our incredibly strict quality control guidelines. A former snowboard instructor with an entrepreneurial streak. Hates haircuts, loves hockey. Call him Lando. Snow industry veteran with 15+ years experience across sales, marketing, and product development. Has a cat named Sean. Gangsta-Kell spent years driving on fury road (I-70) as a sales rep before joining our team, now she’s ready to bring Phunkshun Wear to a store near you!